Millwork has been around for hundreds of years and can take many forms. In the home, millwork might appear over the fireplace as a mantel, on the ceiling as crown molding, or built into the wall, as a shelf. Eco-friendly building is more popular than ever in both commercial and residential construction. There are many reasons to use sustainable building practices. Some people are attracted to environmentally friendly construction because it saves money, others because of their concern for their community and the environment. Home remodels tend to be big undertakings, and paying for them can be intimidating. For homeowners financing a home remodel, there are many possibilities. It's important to take an educated approach. 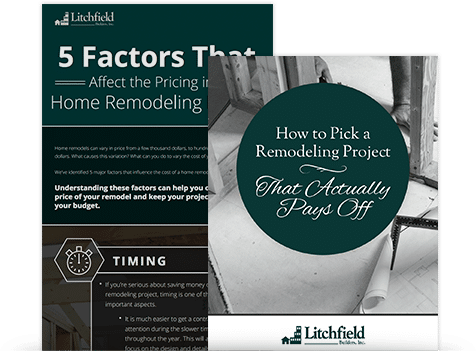 If you're a homeowner who is thinking about remodeling your home, you can avoid problems by doing careful research, speaking with multiple lenders and understanding the cost breakdown can help you find the right financing. For many self-employed homeowners, having a functional office space is critical. Working from home can be a great luxury, unless it turns out that your home office leaves a lot to be desired. If your home office is too small, too dark or just so non-functional that you can't get your work done, then changes need to be made.